North and South Korea will hold high-level talks on Monday at the border village of Panmunjom to discuss follow-up steps to their recent summit, Reuters cited Seoul’s Unification Ministry as saying on Friday. At their third summit in Pyongyang last month, South Korea’s President Moon Jae-in and North Korean leader Kim Jong Un agreed to resume economic cooperation, including relinking railways and roads and reopening a joint factory park and tours to the North’s Mount Kumgang resort, when conditions are met. Moon also said Kim said he would invite international experts to watch the dismantling of a key missile site and close the main Yongbyon nuclear complex if Washington took reciprocal actions. The latest talks will take place on the south side of the Panmunjom within the Demilitarised Zone and be led by the South’s Unification Minister Cho Myoung-gyon, the ministry said. The North has yet to confirm its delegation but previous sessions were steered by Ri Son Gwon, chairman of the Committee for the Peaceful Reunification of the Country in charge of cross-border affairs. “Through the high-level meeting, we will discuss ways to implement the Pyongyang agreement overall and finalise the schedules for follow-on talks on each area,” the ministry said in a statement. The announcement comes amid U.S. concerns that inter-Korean relations may be warming too fast relative to negotiations to dismantle North Korea’s nuclear and missile programs. 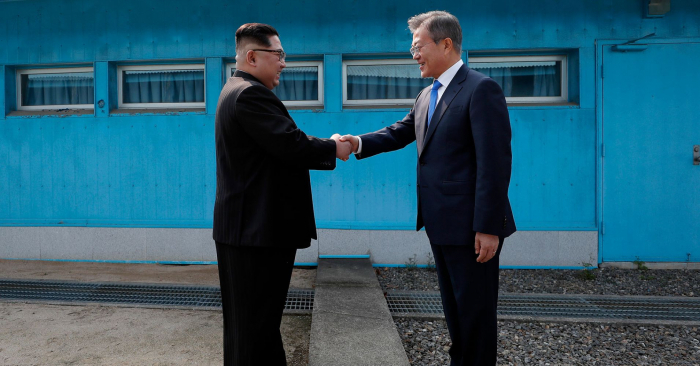 The two Koreas agreed in that accord to halt military drills, set up a no-fly zone near the border and gradually remove landmines and guard posts within the Demilitarised Zone, among other steps.